If you have broken jewelry or watches, then visit a great jewelry repair shop - Camel Pawn Shop Fine Jewelry. We have high standards for our repair services, ensuring that you will receive your repaired piece back in exactly the condition you expect. We do all types of jewelry repairs, including resizing, resetting, fixing loose stones, affixing new clasps, chain replacement, band replacement for watches and jewel replacement for jewelry bracelets, necklaces, earrings, pins and rings. We can even transform and custom create your heirloom jewelry into a modern piece that you will wear more often with a new setting using the original stones. 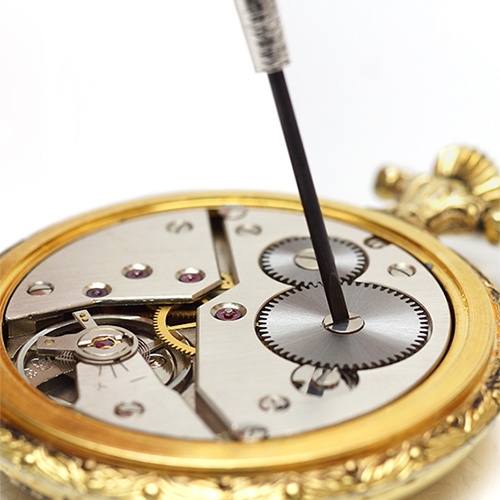 Jewelry repairs, and watch batteries and bands are done on site - If we can't do the repair, we will tell you. We service most watch brands including Rolex, Baume & Mercier, Breitling, Bulova, Bvlgari, Cartier, Citizen, Concord, Corum, Elgin, Movado, Omega, Seiko, Swiss Army and Timex. You can visit us at 422 North Liberty Street in the downtown area of Winston-Salem and we will happily answer any of your questions during our in-person meeting or on the phone by calling 336-723-1057.